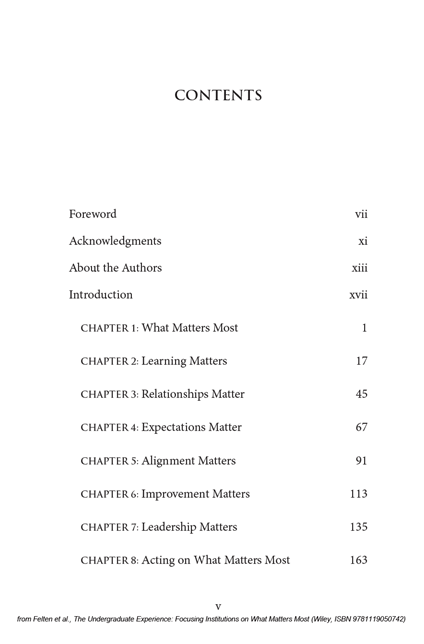 Drawing on recent research and the authors’ wealth of experience, The Undergraduate Experience identifies six core themes that are common to all effective higher education institutions: Learning, Relationships, Expectations, Alignment, Improvement, Leadership. 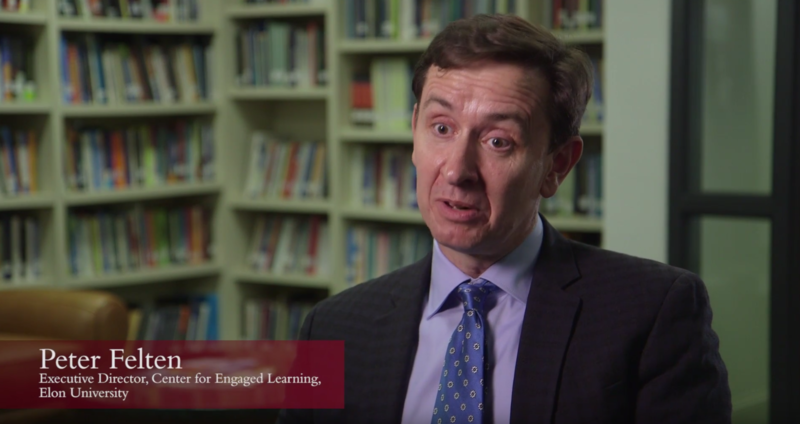 These themes provide a framework for focusing both individual and institutional attention on what is most important in undergraduate education. The five coauthors of this volume bring different perspectives on undergraduate education. 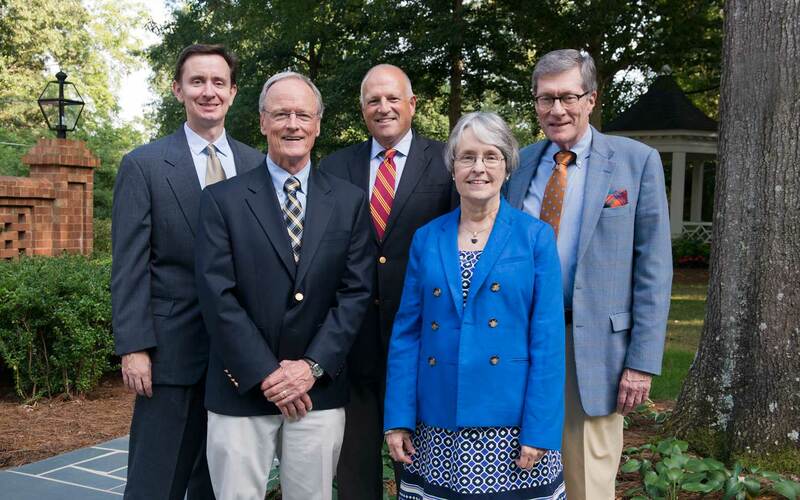 Collectively we have worked in a wide range of institutions, from public community colleges to private research universities; we also have consulted on hundreds of different campuses, served as staff and faculty in roles from assistant professor to dean and president, been elected to leadership roles in diverse professional associations, authored scores of books and scholarly articles, and edited several higher education journals. In this book we aim to distill what we have learned from those many experiences. So that you know a bit about each of us, we will introduce ourselves briefly. 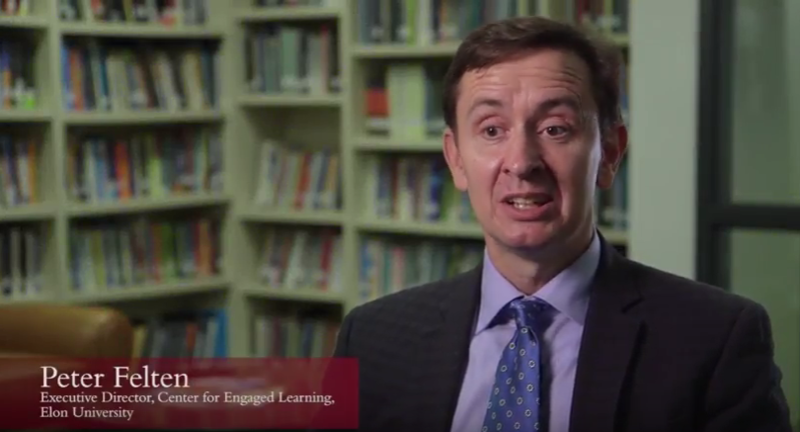 Peter Felten is executive director of the Center for Engaged Learning, assistant provost for teaching and learning, and professor of history at Elon University. 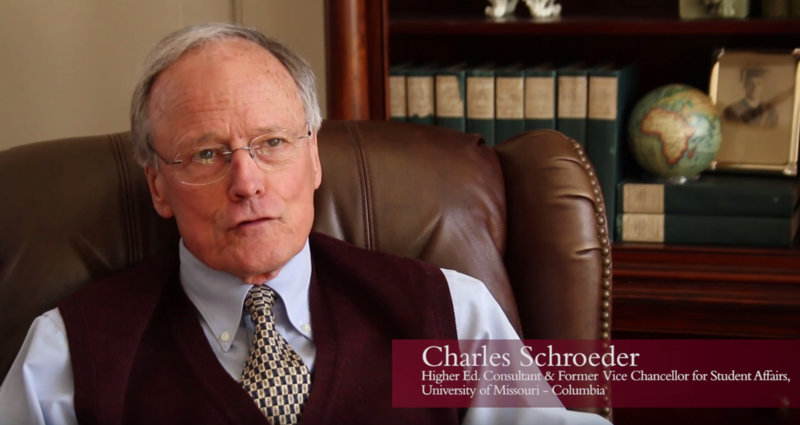 Charles C. Schroeder is a past president of ACPA—College Student Educators International, and former vice chancellor for student affairs and professor of educational leadership and policy analysis at the University of Missouri. 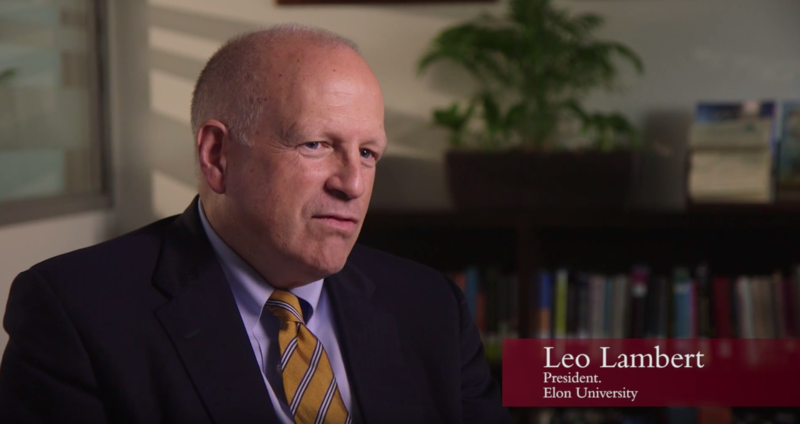 Leo M. Lambert is in his eighteenth year as president of Elon University. 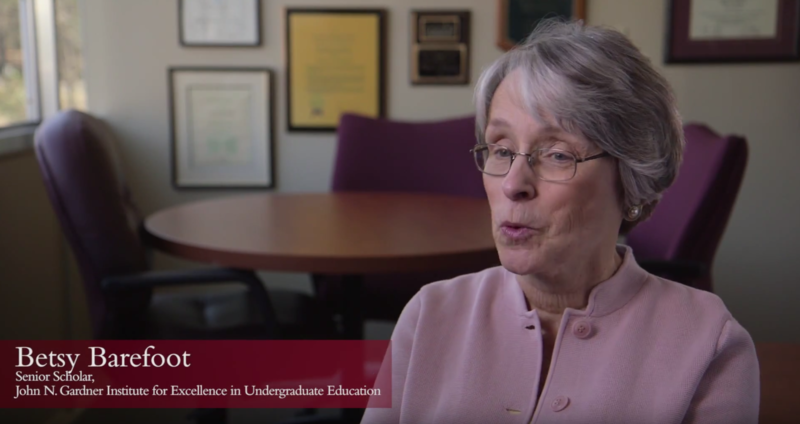 Betsy O. Barefoot is cofounder and senior scholar of the John N. Gardner Institute for Excellence in Undergraduate Education, and coeditor of New Directions for Higher Education. Into the cacophony of higher education’s funding woes and narrow metrics comes the harmonic music of The Undergraduate Experience to lift minds and hearts. 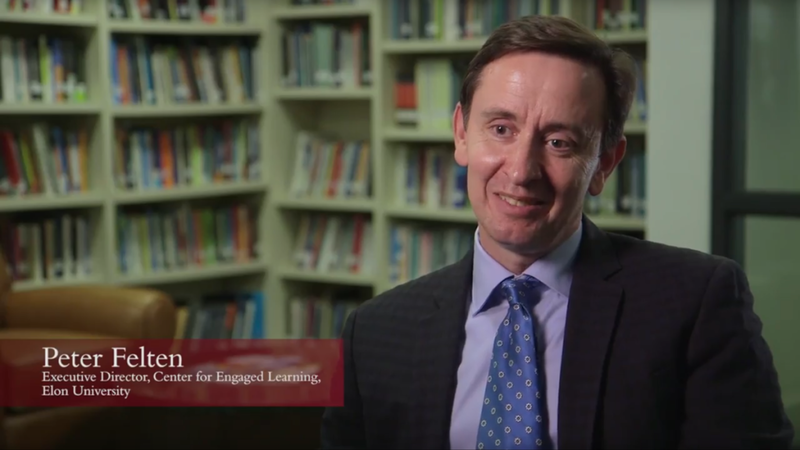 The book, a splendid compendium of great institutional practices, reminds us that “an extraordinary environment for learning” is created in specific contexts and cultures by purpose-driven faculty and staff who sculpt an intentional journey of high purpose for our students. Read it to remember why you work in higher education today. Replete with illustrations of promising policies and practices from many different kinds of institutions, this book is a timely, welcome reminder that it is possible to create the conditions that foster student success. Equally important, the authors set forth foundational principles to guide this important work. 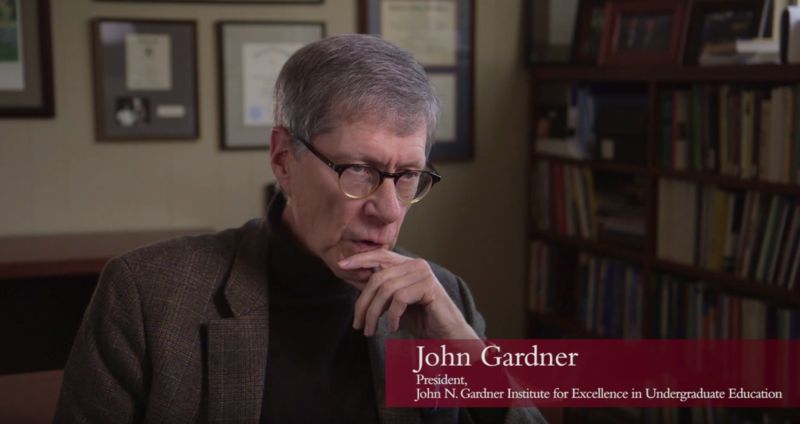 Focusing Institutions on what matters most, this highly experienced team of scholar-practitioners revitalizes our vision of the undergraduate experience and its power to transform. Both inspirational and practical, this concise volume offers thought-provoking observations and memorable examples of undergraduate education at its best. Drawing from a generation of far-reaching change initiatives, this is a “can-do” book. The authors both encourage and provide an aspirational vision of systemic, integrative steps any institution can take to achieve its own design for powerful and purposeful college learning. 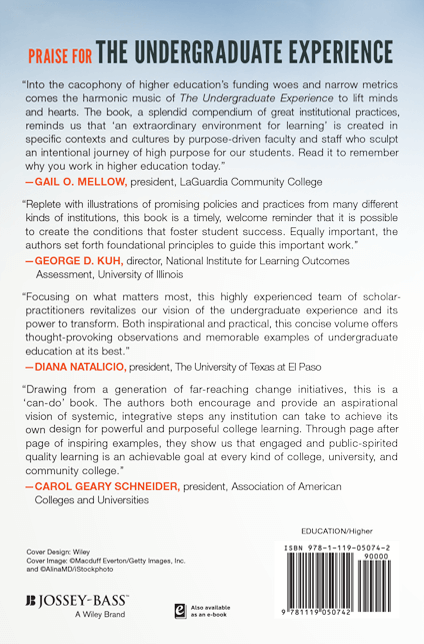 Through page after page of inspiring example, they show us that engaged and public-spirited quality learning is an achievable goal at every kind of college, university, and community college. This concise, highly readable book provides guidance for presidents, deans, and faculty members who wish to improve undergraduate education. But I would also recommend this book to the general public, especially for those who are selecting colleges for themselves or for family members. Forget the U.S. News and World Report rankings, which are compiled for the major purpose of selling magazines. 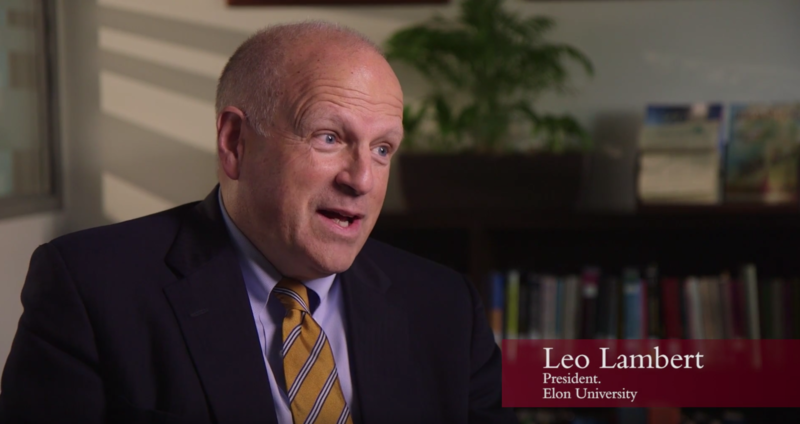 The Undergraduate Experience enumerates the defining features of colleges and universities dedicated to student success. In addition, on NPR Illinois (August 2, 2016), she encourages students and families, as well as academics, to read this ‘concise and highly-readable’ book. 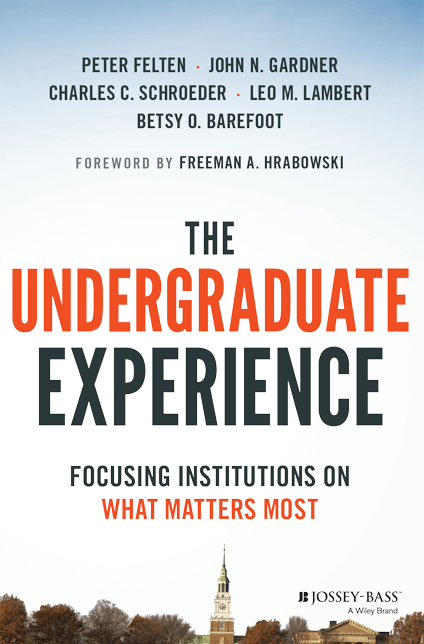 “[The] five authors draw upon their decades of experience studying successful undergraduate programs to distill their common features into six themes — themes that the book argues can be applied across all manner of institutions working toward excellence. All it takes is optimism, patience and teamwork — and muscle.” Click here to read the full review. 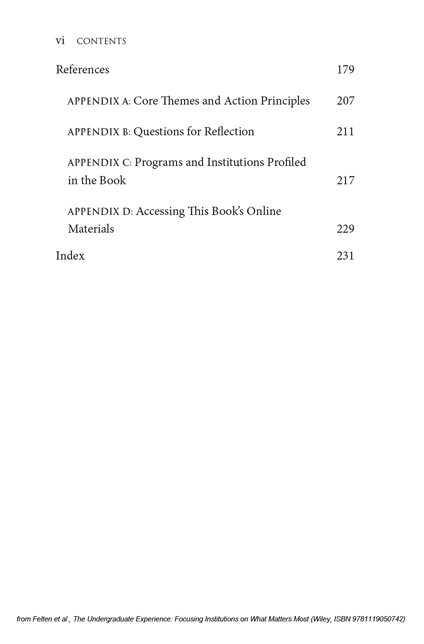 “While the title includes the qualifier ‘American’ higher education, the book is relevant to Australian higher education, and its cases actually include non-American institutions….The book would also be an excellent read for an institution-wide professional development program focused on improving an institution’s undergraduate experience.” Click here to read the full review. “I’d like to begin by sharing how much I enjoyed reading your book. Your tone is hopeful and your counsel immensely practical. 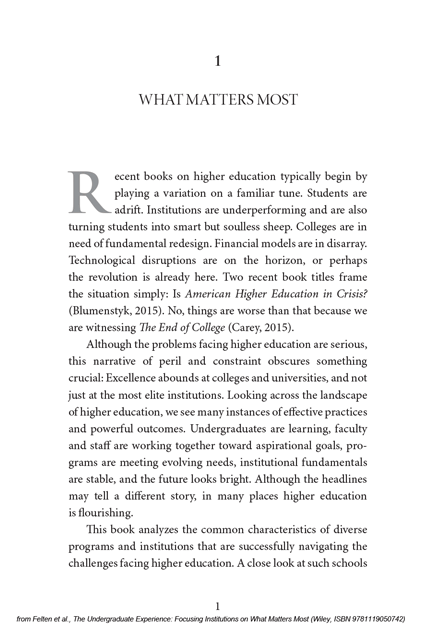 While many books these days emphasize the problems of higher education, I found your book ripe with examples of what’s going well.” Click here to read the full interview with Executive Editor Frank Shushok, Jr. and two of the book authors.